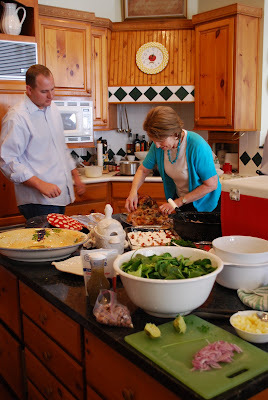 david helped my mom carve the turkey. 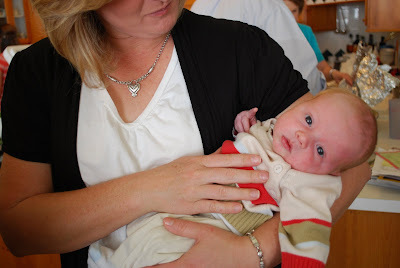 my sister, diane, (and everyone else for that matter) held william and smothered him with kisses. 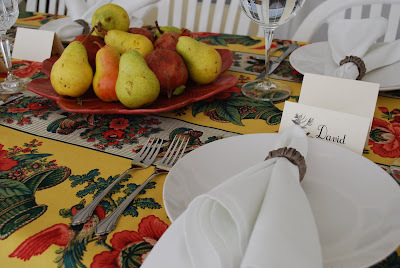 I set the table with pears and pomegrantes. the cousins finally met. it was a success . . . as far as you can tell with four infants. So who is the one with the twins? (This side of the family is a little behind on such things, I guess.) Your baby is so cute. How fun! Sara's twins are just precious!! They are so little!